Home » Have Your Say » Should Jonang’s demands be granted? Should Jonang’s demands be granted? 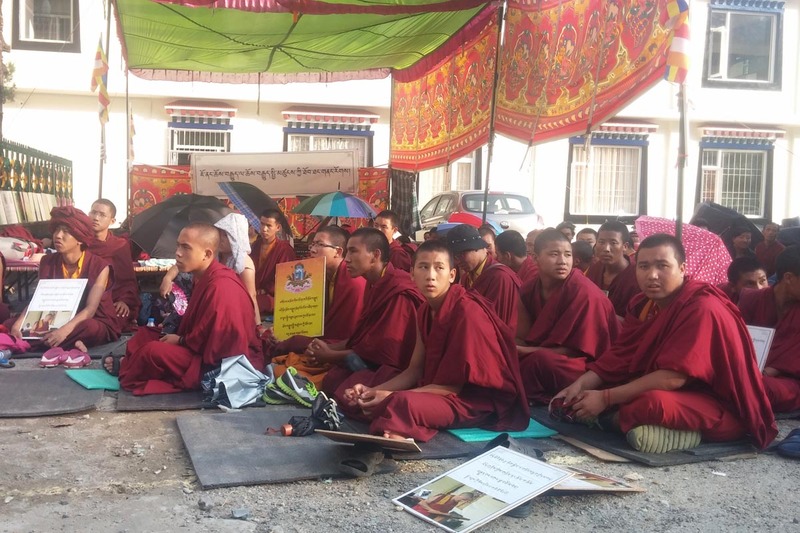 The followers of the Jonang tradition are demanding that they be recognised as a separate sect similar to the four other sects of Tibetan Buddhism, namely, Nyingma, Kagyu, Sakya and Gelug, and the native Tibetan Bon religion. With the official recognition, the four sects enjoy various privileges, such as two representatives each in the Tibetan Parliament-in-exile, invitations to political and religious meetings, and membership in the Tibetan Buddhist scholars committee, which is under the Department of Religion and Culture of Central Tibetan Administration (CTA). For years the members of Jonang tradition have been requesting the CTA and the exile Parliament to accept Jonang as a separate sect and provide them with equal rights and privileges. So far this has not been done, and hence the protest, which later on became more serious with nine members starting a hunger strike, and with one member reportedly attempting self-immolation to protest the failure by the CTA and the exile Parliament to fulfill their demands. The CTA has agreed to make four of the seven changes: extend invitations to leaders of Jonang to political and to religious meetings, teach about Jonang in schools, and receive equal seats in the Tibetan Buddhist scholars committee. Their core demand is to change in the Charter of exile Tibetans to say ‘Five Tibetan Buddhist sects’ instead of the current ‘Four Tibetan Buddhist sects’. Should this be changed, they would be entitled to have two seats in the exile Parliament, similar to the other four sects and Bon. What are your views regarding these questions: Should the followers of Jonang be making these demands? Should the Parliament continue to reject their demands? Would it be alright to reject their demands? Should the Parliament seek the people’s mandate on the issue in a referendum? It is high time to correct a grievous historical wrong, and restore the Jonang lineage to its rightful place. I think Jonang deserve to be given similar rights like the rest of the sects and Bon. Tibetan Parliament should not be biased, and take responsibility and approve their demands, which are legitimate. If the Parliament fails in the next session, then it should be brought to the public to decide through a referendum. Now, the bigger issue is that there are many people who are against having members in Parliament from the religious sects. Whether to continue with having members from religious sects should be decided by the public through a referendum. This is actually more important, and should be decided before the Jonang issue. I don’t understand why Chithues get to decide Jonang tradition’s demands. Legitimacy of Jonang tradition should be based on history of the tradition, not on opinion of some biased Chithues. How many of U-Tsang? Maximum in exile. How many of Khampa region? Not much in exile. How many of Amdo? Very less in exile. Selection of chitue is done by Tibetans in exile, then why it is done based on the three regions of Tibet? ?